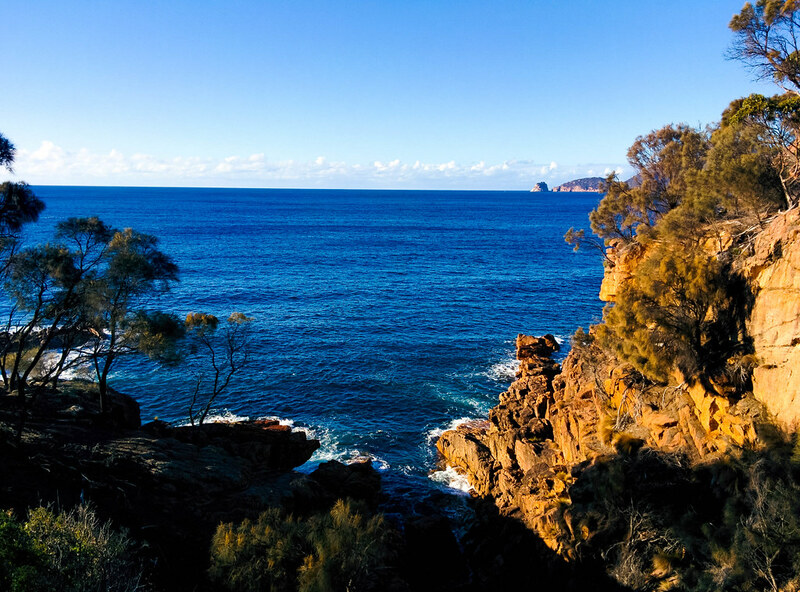 Last weekend I went for a bushwalk at the Royal National Park from Waterfall Station to Heathcote Station. 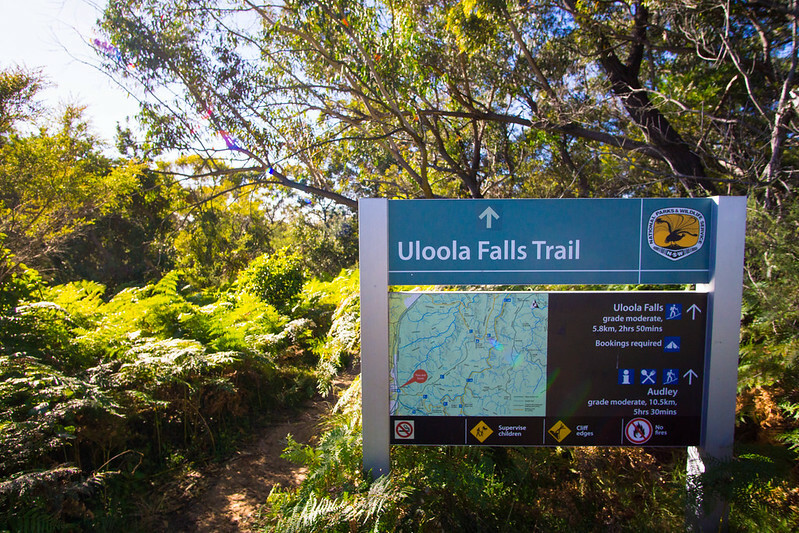 It was 11.3km track and the main attractions were the Uloola Falls and Karloo Pools. 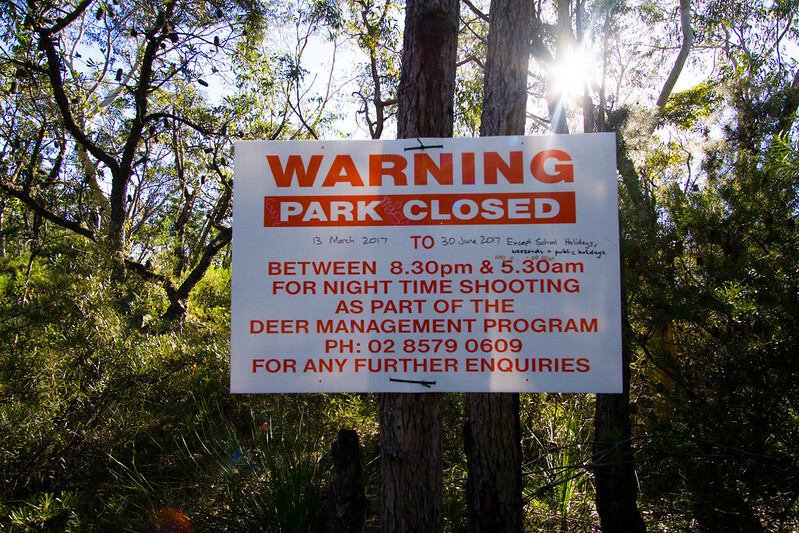 A few weekends ago, I went to the Blue Mountains for a bushwalk. 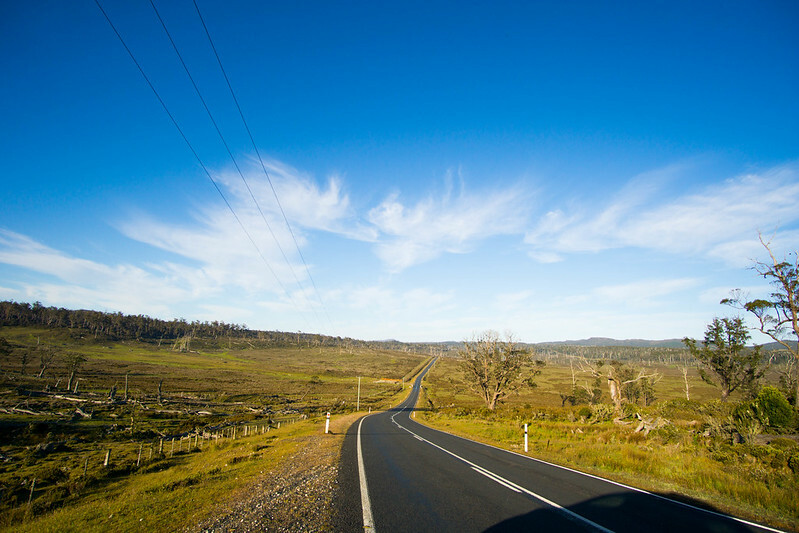 Although I have been to the Blue Mountains quite a few times now, there are a lot of areas that I haven't explored or even heard of! 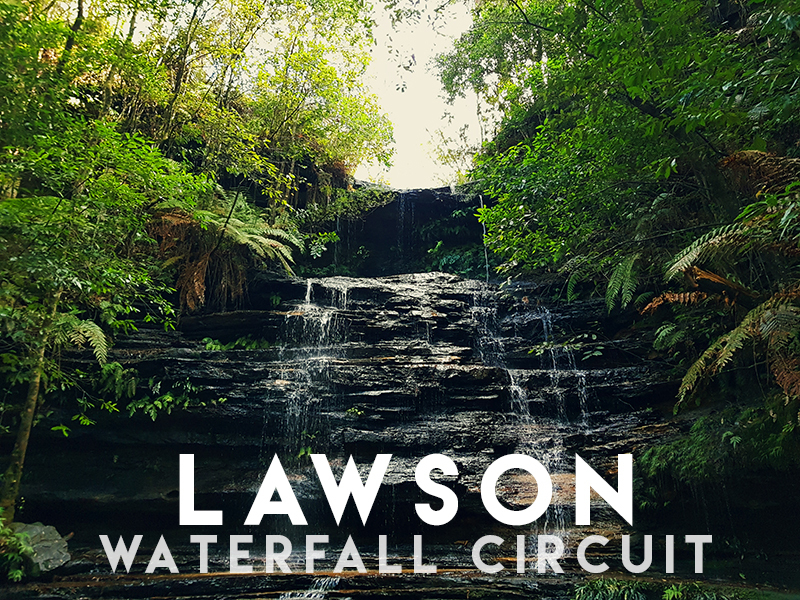 Whilst I was Googling for easy-ish day walks, I stumbled upon the Lawson Waterfall Circuit which sounded pretty intriguing - 3km walk which passes by 4 waterfalls. Compared to the bushwalks at Wentworth Falls, Leura and Katoomba, my boyfriend and I were the only ones on the track! It was a very peaceful walk. 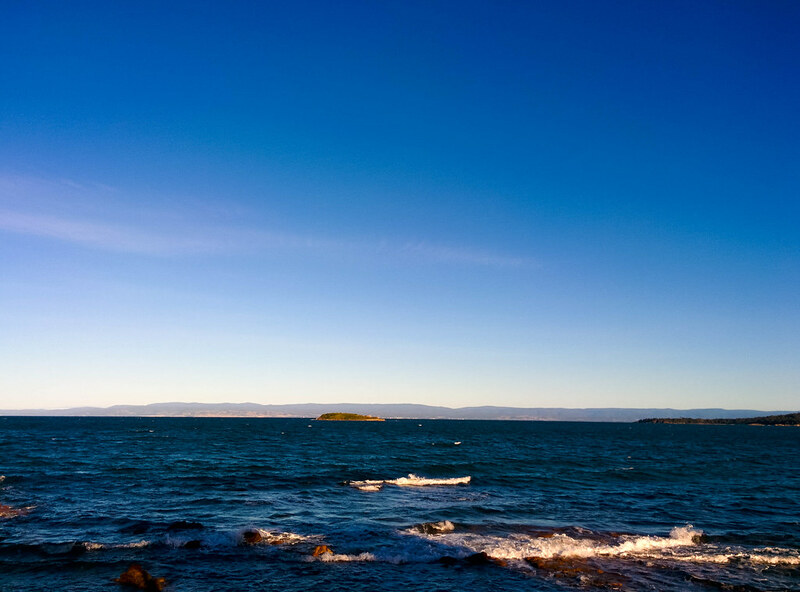 This was the only sunny day during my visit and I had chop-and-changed my itinerary so that my visit to Freyicinet National Park coincided with the only nice day. First stop was Sleepy Bay which was a short walk from the car park. 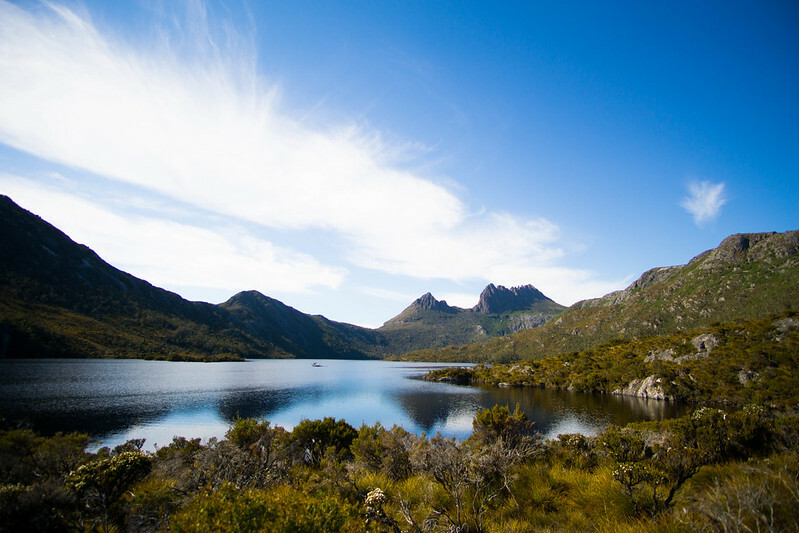 Cradle Mountain is 1545m above sea level and is the fifth highest mountain in Tasmania. There are a few day walks in the national park however I intended to walk to the summit and back. This equated to a 13km hike and recommended time of 6.5hrs. It is finally Spring here in Sydney and I am loving it. Interspersed between the warm days, there are still cool days. I am not a fan of summer and the stifling heat is unbearable. This is also the best time to go on hikes as the days are getting longer and you don't end up a sweaty mess. 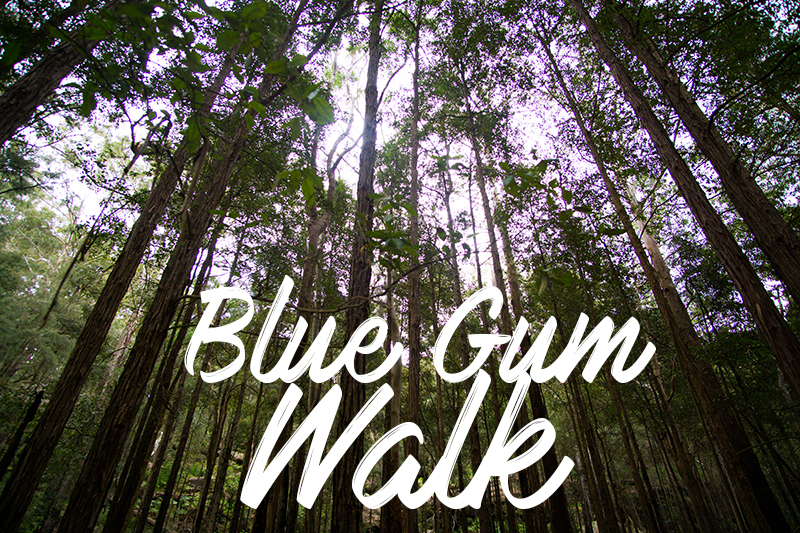 I have plans to do two day hikes at the Royal National Park in the coming few months so to get back into the swing of things I decided to complete the relatively easy Blue Gum Walk at Hornsby. At a 6.7km circuit, it isn't the most strenuous hike in my opinion, despite it being rated as a 4 on Wild Walks. There was a bit of uphill but nothing too horrible. 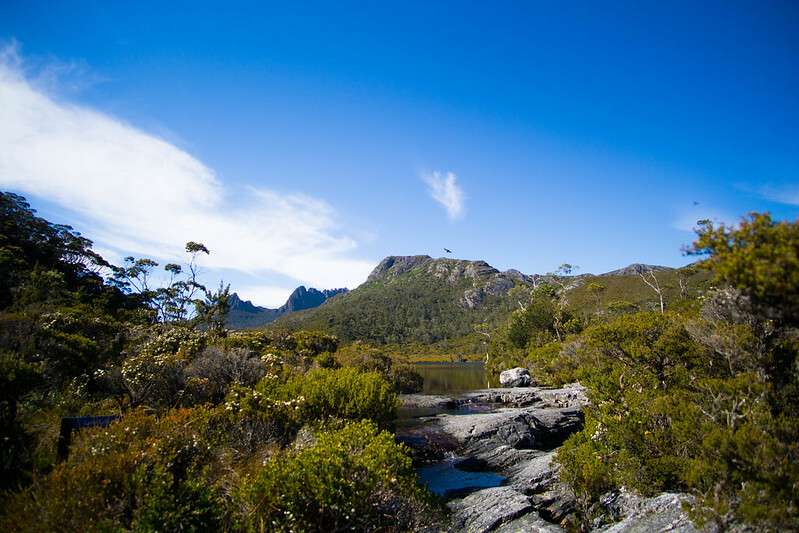 This post is from mid April and is about my trip to the Blue Mountains. After breakfast at Henri Marc, we headed to Wentforth Falls in the Blue Mountains. The last time I visited was - surprisingly- in 2012! I hadn't actually realised it was that long ago! 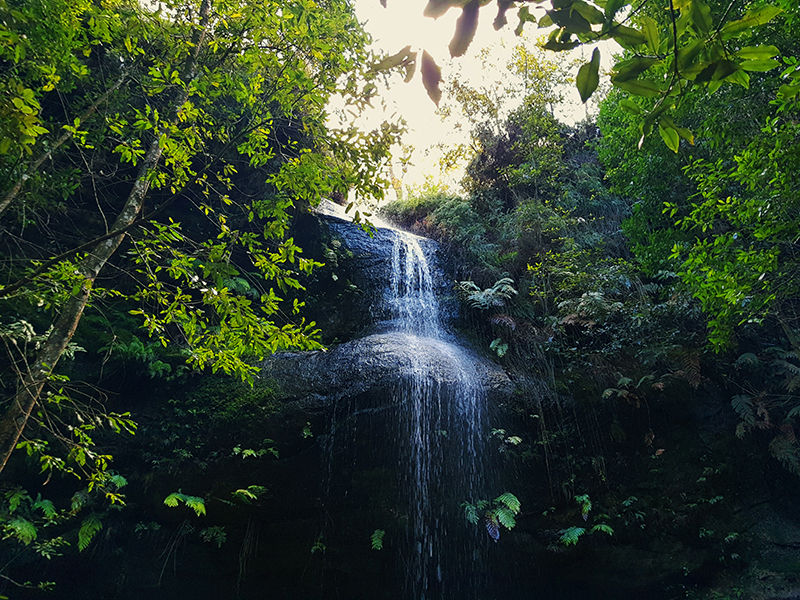 The aim for the day was to do a short walk at Wentworth Falls. I am a hiker and I love it; unfortunately Mr Paella is not quite the hiker / outdoor-sy kind of person. I don't mind it generally, however it does make it a little difficult when we are doing something together. Something that is deemed a Grade 1 (very easy) is right up his alley whereas I don't really look at any hike that is below a Grade 3 (moderate / hard). I enjoy hikes that are at least 9km round trip whereas he is more comfortable with 1km. For Wentworth Falls, we were just going to walk to the bottom and then back up the death stairs. A month ago, my old manager had transferred to another store in Katoomba. A few co-workers wanted to surprise her so I joined as I did want to spend a day out. We woke up before the sun rose and caught the train from central. A pet peeve. I hate people who are late, anything longer than 5 minutes already irks me. But this girl who has been late every other time we were together was, once again, late. Normally it isn't that significant except as we were catching the train to Katoomba, there was only one train every hour. She missed the train and was late. The two hour train ride wasn't overly long; it was pleasant. When we were 4 stops away, one of the coworkers really needed to go to the bathroom, however we didn't think that there was a toilet on the train so he got off at a station in the Blue Mountains. There wasn't a bathroom at the station and he ended up walking on the track before finding a porta-loo. The rest of the coworkers and I waited at a cafe for the stragglers. It was cold in Katoomba. Well, it was actually quite chilly and the air was so much fresher and crisper. As I was taking my shots of the Three Sisters, there was this tourist who asked me, "do you know the story of the sisters?" I said, "Yes. Do you know the story?" because sometimes people are overly helpful and just want to tell everyone what they know. He said that he didn't no. So I proceeded to tell him the two versions that I was taught. 1) There were three sisters who fell in love with the men from another tribe, however there was a battle and the father of the daughters wanted to protect them so he got an elder to turn them into stone, with the intention of turning them back to women after the battle. However the Elder died and they remained as stone formations. 2) There were three sisters who fell in love with the men from another tribe however the father wasn't happy with their decision and so turned them into stone to prevent them from being together. Elder died and then the sisters remained as stone formations. After I told the story, the same tourist went, "well that's actually not true. The story goes like this: there were three sisters and they were called X, Y and Z (I can't remember what he said). Did you catch that? They were called X, Y and Z. And they were granted a wish to turn into swans however after 500 years as a swan, they would then turn into rock". Firstly, that has to be the stupidest story I have ever heard. It sounds like some warped fairytale. Oh really, the sisters wanted to be swans? And if they were turned into rock, why didn't they resemble a rock in the shape of a swan? Secondly, Google didn't show me any story that sounded even remotely similar. And more to the point - and I was fuming- why did that tourist need to act as some hot-shot and correct me on a story. I don't even know what his game was; to correct people? Seriously. Why ask and lie and tell me that he didn't know the story, when he knew a story. My god. And all those Chinese tourists; there is something in life called manners and common courtesy. Learn some. You shove me with your shoulder, I will shove you back. Though all that aside, it was lovely visiting the manager. She was so stunned and it was really nice being able to see her again. We had a lovely chat with her in the tea room. The best part was when the group of us couldn't quite turn off our 'work mode'. There was a couple and I only noticed them because the girl was dressed as the biggest bogan. White tank top, hair in top knot with a leopard turban type headband and leopard harem pants. All that she was missing were her Ugg boots, although of course she didn't have them as she stole a pair of shoes. Mind you, they were $6 canvas shoes. I don't even know. Actually, if I could understand why people steal $6-10 pair of shoes, then maybe I can also also understand why people steal one shoelace, not a pair, just one. 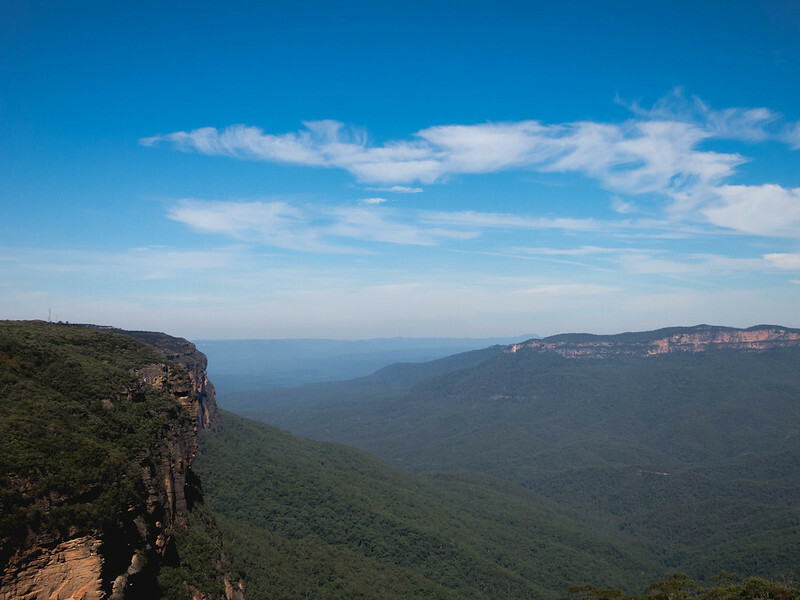 The Blue Mountains is region just outside of Sydney and approximately 2 hours away by train. My highschool friends and I travelled to Wentworth Falls for some bushwalking through various tracks in the area. This summer, the weather has been a bit temperamental - raining for weeks on end and having moderately warm temperatures for the rest. 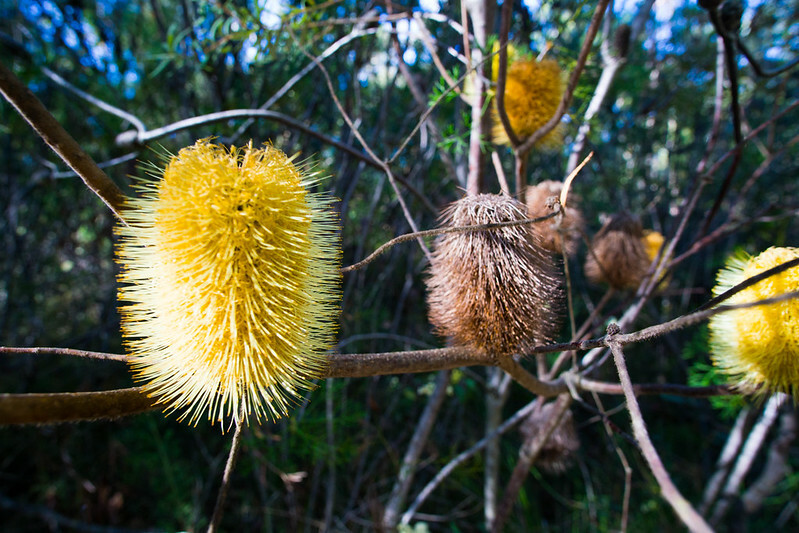 However, yesterday was a gorgeous sunny but relatively cool day which was perfect for bushwalking. We first started walking on the Charles Darwin Walk which was fairly easy path. 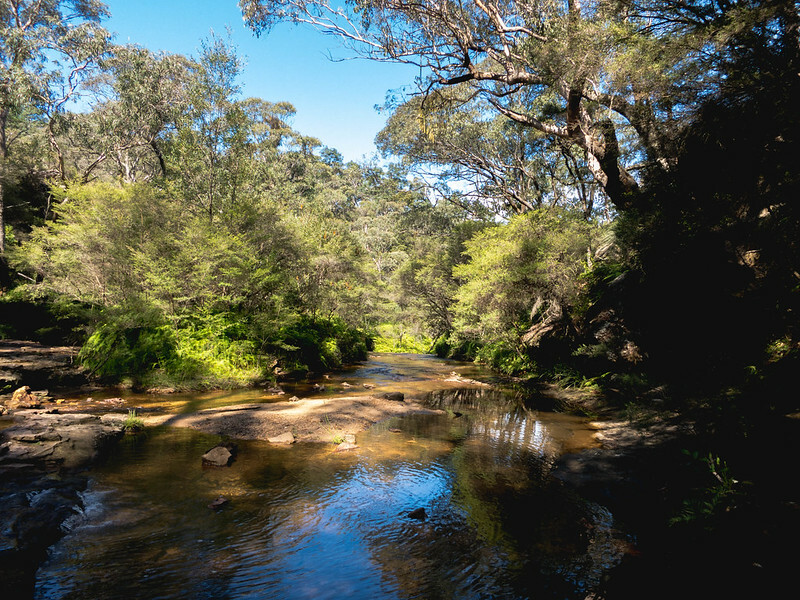 It followed the Jamison creek and eventually we reached the top of Wentworth Falls. The look down was breathtaking and also scary as I am a little scared of heights. Despite the lovely weather, it had rained probably the night - if not day - before and hence the steps carved from rock were very wet and possibly slippery. walking down those incredibly steep stairs were a little scary, especially as you would be looking directly down at the trees hundreds of metres below. 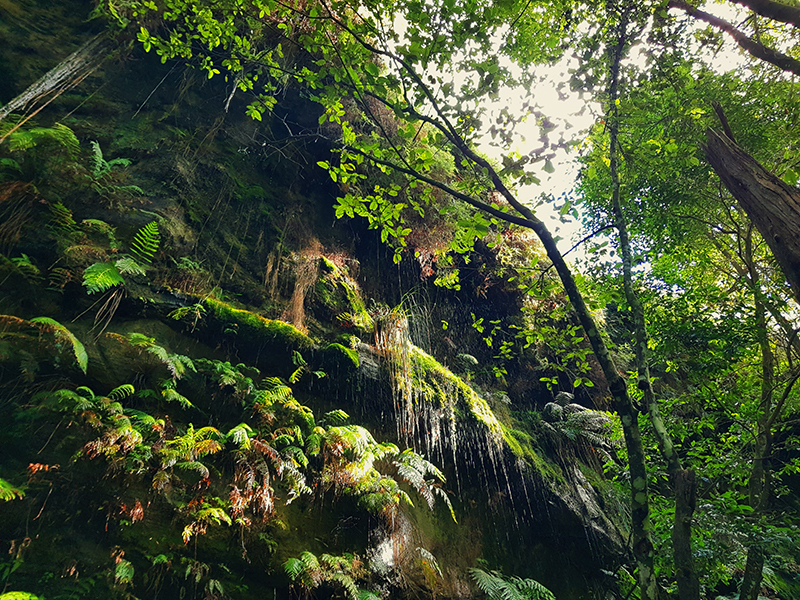 The view from the bottom of Wentworth Falls was breathtaking and the spray of water was very refreshing after the steep descent. We then followed the National Pass and saw waterfalls such as Lodore Falls, Empress Falls and Sylvia Falls in the Valley of Waters. For our lunch break after a difficult climb, we took a break at one of the lookouts and there, I saw a Leura Water Skink. After our break, we took a shorcut back to Charles Darwin Walk and went to the Weeping Rock. There we took off our shoes and waded in the water for over 30 minutes. The day was relaxing and provided a much needed break from Sydney and the life back there.